Writing Center Consultants (tutors) meet one-on-one with students to discuss their writing, usually in 30-minute appointments. These discussions may involve developing ideas, thesis statements, clarity, organization, citing sources, grammar, punctuation--or all of the above. We work with students at all levels, from freshmen to graduate students, and we work with students from all disciplines across campus. We work with both multilingual writers as well as native-English speakers. What qualities should a tutor have? Tutors should have strong writing skills and have a desire to help others improve their writing. Tutors work collaboratively, so it's important that tutors enjoy listening to writers, reading their work, and talking with them. Self-reflection and a willingness to continually develop as a tutor are also important traits. In addition, curiosity about new people and new topics is highly desirable. We welcome and encourage potential tutors to apply from all disciplines. As a staff, we have orientation meetings at the beginning of each semester as well as staff meetings that include ongoing education. New undergraduate and graduate tutors are also required to take English 4240/5240, Writing Center Theory and Practice, during the fall in which they start work in the Writing Center. The course is a three-credit course on Monday evenings from 6:00 p.m. to 8:50 p.m., open to both undergraduate students (ENGL 4240) and graduate students (ENGL 5240). 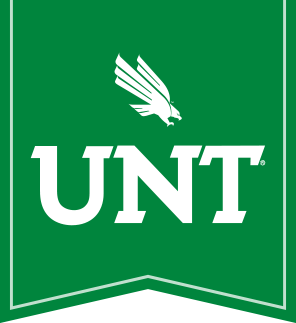 The course is designed to prepare UNT's Writing tutors with both practical strategies for holding successful writing conferences as well as theoretical background in writing center work. Tutors are trained to read work critically and constructively. Students consider how writing is taught in the academy, and they learn to recognize how cultural and linguistic identity can impact us as writers. Finally, the course provides an opportunity for students to conduct original research in writing studies, so they can act as scholar-practitioners in the field. As an advanced course, the course does help undergraduate students to fulfill their requirements for advanced coursework needed for graduation, so it may give you credits you need, even as a non-English major. The course provides an opportunity to participate in a close-knit learning community with fellow tutors from across the disciplines. Tutors are paid competitively, $11 per hour. Following the successful completion of ENGL 4240/5240, pay increases to $14 per hour. Students can work on campus up to 25 hours per week. On average, tutors work about 15 hours per week. Please note that hours are not guaranteed and are based on our staffing needs and tutor availability. What do our tutors say about working at the UNT Writing Center? "Working at the Writing Center has been great not only because I get to work with people who have become awesome friends but also because I have had the opportunity to learn so much about writing and about so many of the other subjects and classes that UNT offers. I feel that by helping others improve their writing, I have also improved my own writing and have grown as a person." "I feel that I have become much stronger in my writing style the more I have tutored. I've learned how to think quickly on my feet, to be patient, and have gained customer service skills I will be able to apply in future careers. I also love the work environment, as I have met many of closest friends here." "I've worked at the Writing Center for about 3 ½ years now. Throughout my time here, one thing has always remained: my love for connecting with each student and watching their eyes light up when they understand a new concept of grammar or about organization they didn't know before. Connecting with students is always satisfying and rewarding." "This is really an amazing job. Not only is it rewarding to help students improve their writing, but you become a much better writing in the process of helping students with theirs. This is a great way to gain teaching experiences and is a valuable experience regardless of whether your major is English or not." "I enjoy working at the Writing Center because I get to work with students from various backgrounds and meet so many people with similar interests." "When I interviewed to start tutoring at the Writing Center, I thought it was a volunteer position until they told me how much I'd get paid. If it was a volunteer position, I think a lot of the people who work here would still be here if they could. I love that this place is kind of a safe haven. It's the best feeling to equip someone with a technique to solve a grammar issue or teach them how to ask the questions that will lead them to a strong thesis because I get to plant confidence, courage, and curiosity when I share those things. My job is to help students tell stories and present information, but the most important thing I do is remind people that they were smart and capable when they walked through the door. I get to learn, collaborate, and connect with people. It's a rewarding way to give back to the campus I love. " "I enjoy working at the Writing Center because I love helping students improve their writing skills, teaching new concepts to students, and improving my own writing in the process. I have learned that tutoring teaches me a lot--not just the students I'm working with! I have learned so many facts--from how water fountains are installed to how to teach third-graders about recycling." "Working at the Writing Center as a tutor is an extremely rewarding job. I'm an English major, so I want people to know that writing isn't that bad. When I'm working with the students, and they tell me that they feel better about what they wrote, I feel this sense of joy that I was able to help them feel a little bit more confident about their writing. I just really love that interaction. " "I enjoy working at the Writing Center because I genuinely love being an educator. As someone who is pursuing a career in academia, this job has given me countless experiences that have sharpened my teaching abilities. I am proud of my role as a tutor because I always achieve an immense feeling of satisfaction whenever I help students with their academic needs."